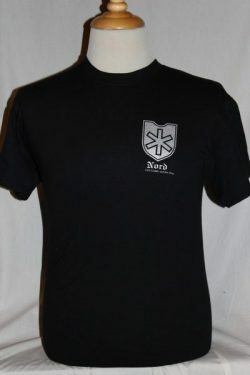 The 6th SS Division Nord T-shirt is a single sided print in black. 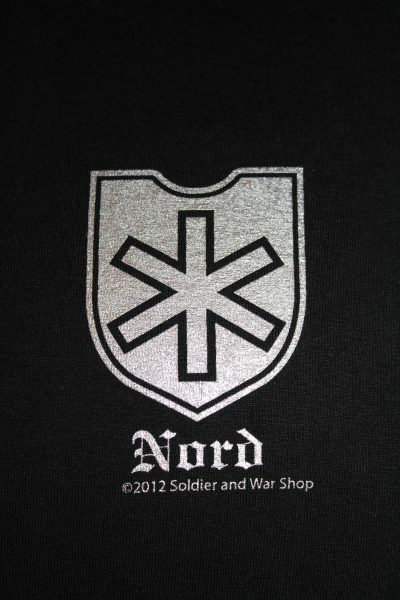 Front Design Only: Left chest artwork having the 6th SS Nord Division insignia screened on the front with SILVER INK! Wafer SS Division, Gebirgs (Mountain Troop) Division in World War II. Stationed in Finland and the only SS Division to fight in the Arctic Circle.